Noce Vein Cut travertine is a brown colured stone which has lighter and darker layers of the same base colour running through it. The superior quality of this travertine tile cannot be empasised enough as we hope our photos show clearly. The character of this stone is what makes the travertine unique in our range. The tiles are cut in the same direction as the layers and seams of sediment within the spring where the travertine was formed. 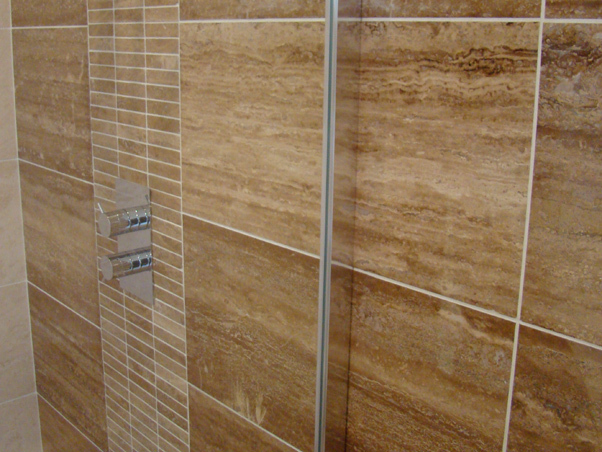 This creates bands of brown and beige which are layered, running across each tile. Since we began supplying this travertine, it has become increasingly popular with specifiers and customers who want to incorporate the qualities of the stone into their scheme.